Holiday home for 12 people. The house has two floors. 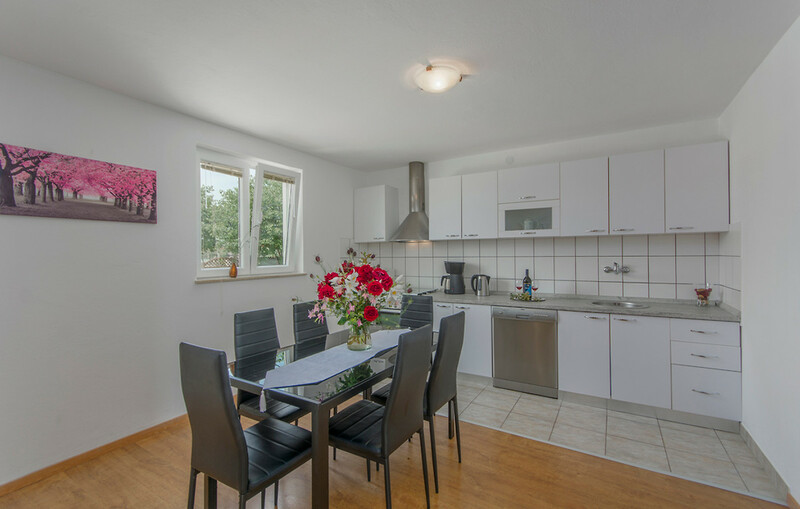 On the ground floor there is a large, fully equipped kitchen, a large dining table and a living room with TV and sofa bed, three bedrooms with double beds and two bathrooms with shower. 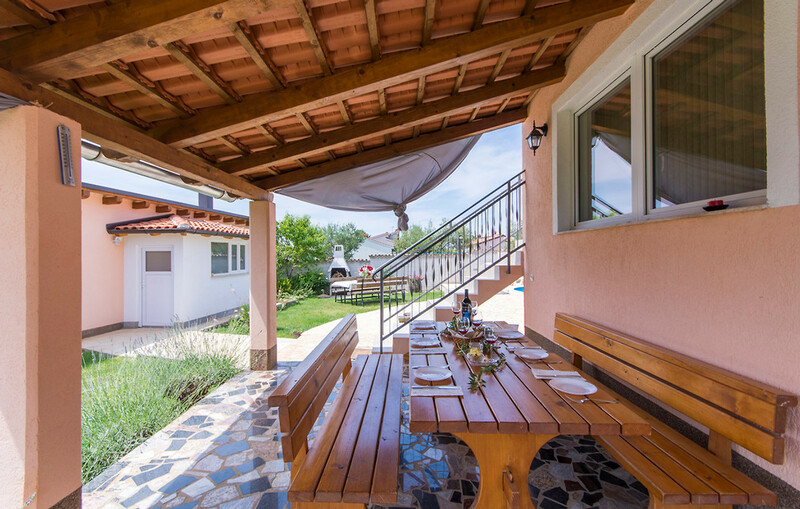 The living room has access to a covered terrace, which is equipped with garden furniture and sun loungers. The second floor of the house has a separate entrance from the outside. The second floor is an attic. In this part of the house there are 3 bedrooms, a two bathrooms with shower, living room and even a fully equipped kitchen. The upper floor of the house is air conditioned. 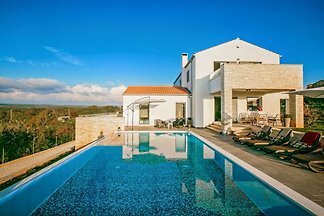 Holiday house with pool for 12 people. 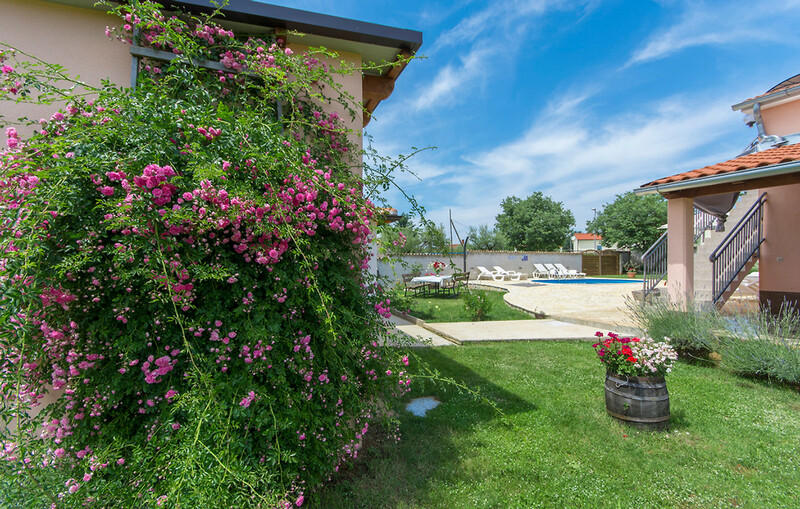 Labinci is a place 8 km away from Porec, Tar and tourist village Lanterna away. 10 minutes away by car, you can get in one of the beaches, the west coast. Labinci, the hinterland of Porec, is a very attractive destination. 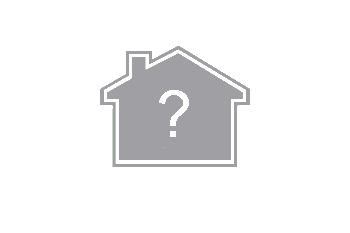 Where, many guests looking their homes for the holidays. You wonder why? 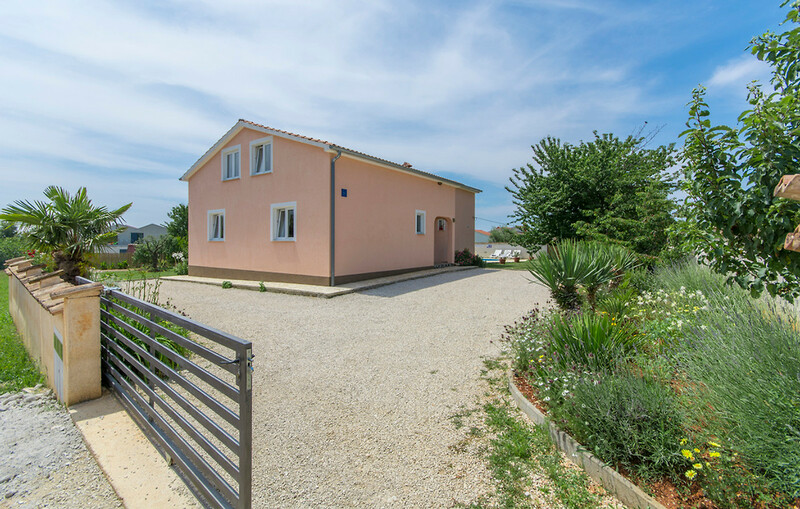 Labinci a village is situated on a gentle hill, with a beautiful view of the towns of Porec, Tar, Lanterna, Novigrad and the sea in the distance. In the village there are shops, restaurants, post office, pharmacy. Endless vineyards, olive groves, wine roads, olive oil roads and proximity to the sea are all enchanted. 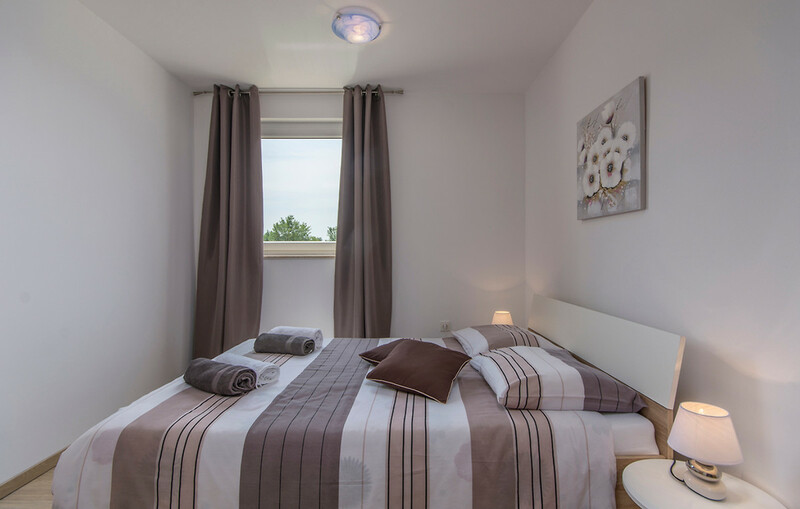 This price includes the cost of booking fee, Cleaning, gas, water, internet, air conditioner, bed linen, towels, electricity, Garage / Parking, washing machine and pool . Pleasant stay, relaxation and an unforgettable holiday guaranteed. 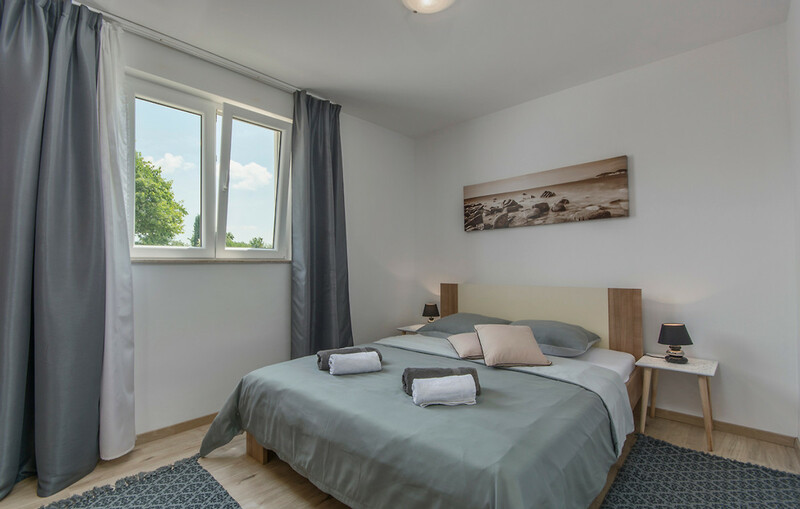 Euro Tours team consists of young, dynamic and professional staff who will help you to you and your family choose the ideal accommodation that will make your stay in Istria unforgettable. 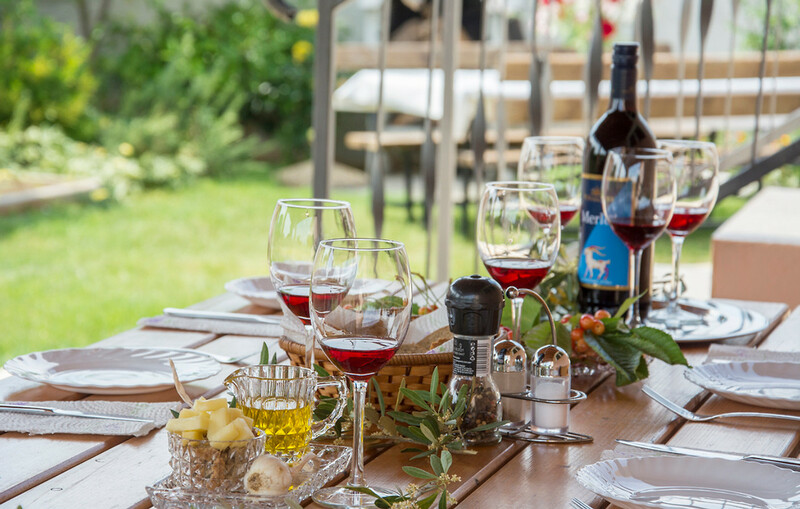 Enjoy the charms of Istria, swim in the crystal clear waters, enjoy the authentic dishes and wines and find out why the region's top destinations about which everyone is talking about! 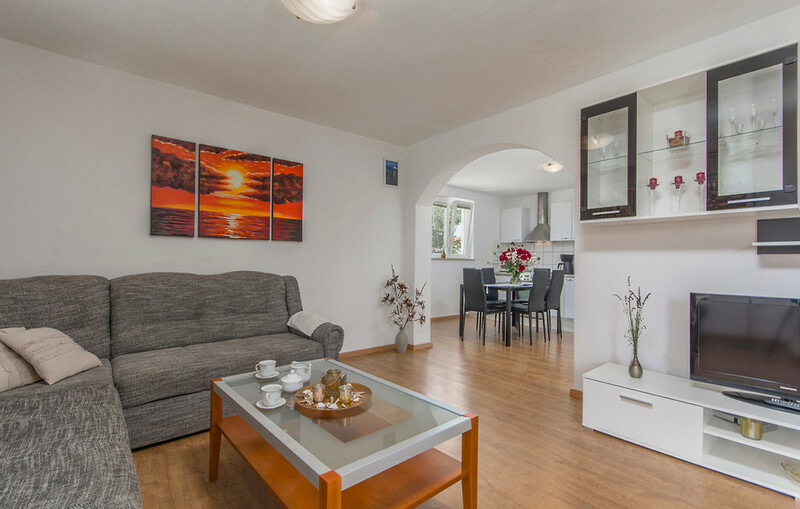 Villa Angelina ist ein wunderschönes Ferienhaus, sehr sauber und top ausgestattet. Alles vorhanden um einen schönen Urlaub zu verbringen. Die Vermieterin Angelina ist immer für ihre Gäste da, wenn man sie braucht. Den Grillabend in ihrem Garten werden wir nie vergessen. Der Pool ist auch sehr schön und wird ständig gereinigt. Fazit: wir kommen wieder !!!!! 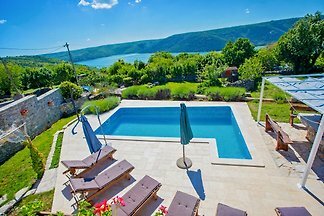 Villa Angelina ist ein wunderschönes Ferienhaus, sehr sauber und top ausgestattet. Alles vorhanden um einen schönen Urlaub zu verbringen. Die Vermieterin Angelina ist immer für ihre Gäste da, wenn man sie braucht. Den Grillabend in ihrem Garten werden wir nie vergessen. Der Pool ist auch sehr schön und wird ständig gereinigt. Fazit: wir kommen wieder !!!! !